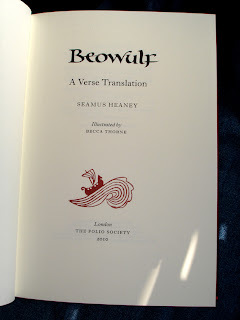 I've just received my copies of Beowulf, translated by Seamus Heaney, which I illustrated for The Folio Society. 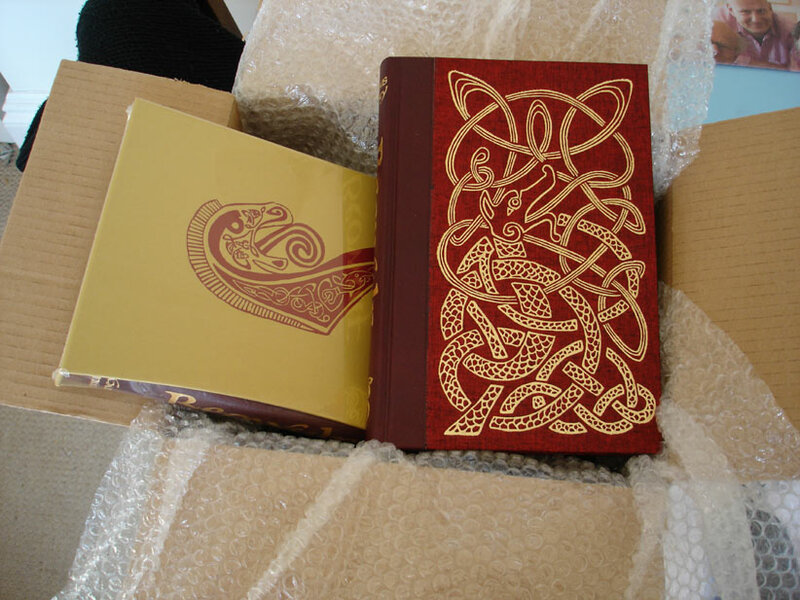 It's a beautiful book; quarter bound in leather, with a canvas cover blocked in gold with my Anglo Saxon-style knotwork design, gilded on the top page edge and presented in a gold-coloured slipcase that's also printed with my design (that one was a lovely surprise!). 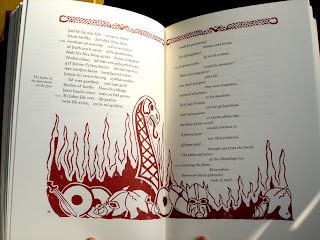 In the spirit of ancient manuscripts like The Lindisfarne Gospels, every page of the book is illustrated with either decorative borders or larger illustrations like the one above. And as an added bonus I designed the logo too. You would not believe how excited I am about this book! Rather beautiful, and helped me decide to buy this edition! 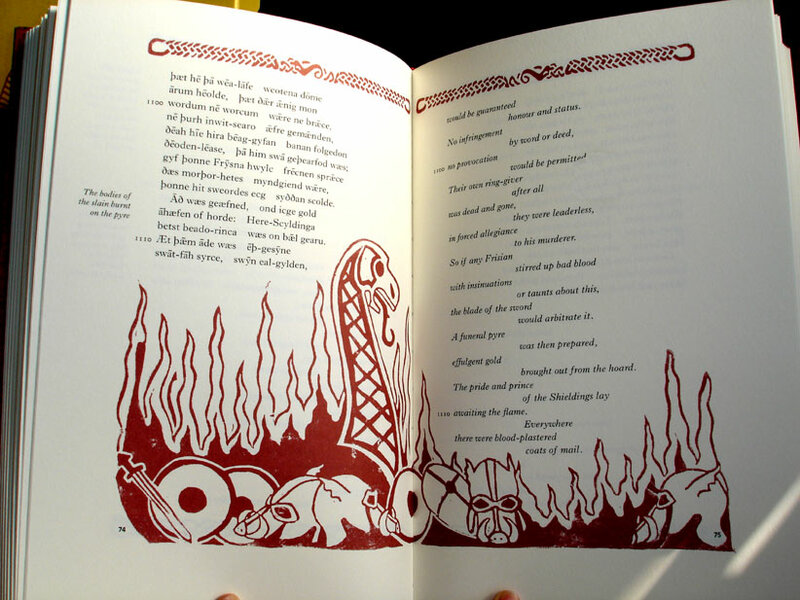 I hope to see you collaborating on future Folio works.